To my surprise, 8th edition reached off-grid gamers community on time for “Big launch”. 3. Psychic powers are very limited in new edition. No more Santic, Demonology and other nonsense :). Eldar psychic powers work only on Eldars, Harlequins only on Harlequins etc. If you have Farseer in Ynnari army, he will have only Revenant powers. For me this is over simplification. 4. Oversimplification :). Only Croftworlds have vehicle equipment, rest of Eldars does not. Moreover, vehicle upgrades does not have point costs or additional power levels. So there are no reasons not to take every vehicle upgrade on all of your vehicles. Practically they could be included on datasheets. 5. Point system will die slow dead. Power levels are included on datasheets, points are at the back of the book. In my opinion, they are here only not to alienate veteran players. I don’t see point in compering units from 7th and 8th. This is new edition, probably most revolutionary one in history of this game, and it demands its own meta. Globally speaking, basic troops become little bit better, flyers got grounded (pun intended), Harlequins are probably playable now on their own, Avatar is must if you have foot-dar list. 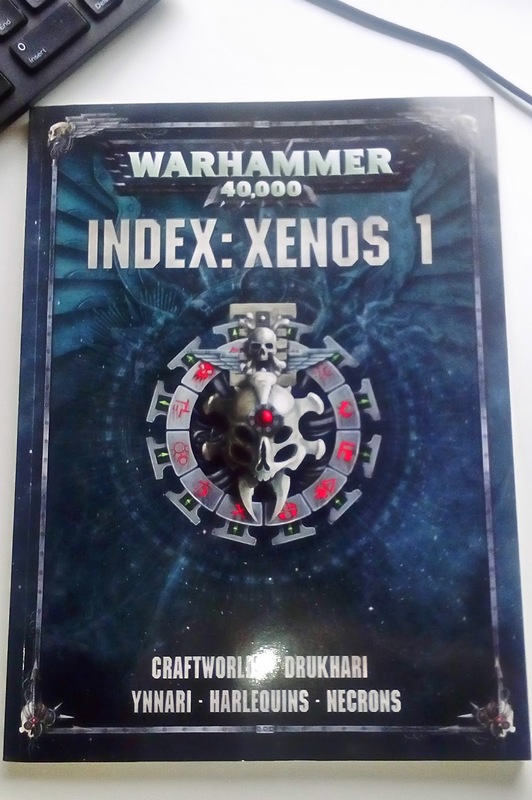 Players who think this edition is oversimplified could play 30K, but I think that we all should wait for new Codexes. We will yet see what kind of meat GW will put on these bones.